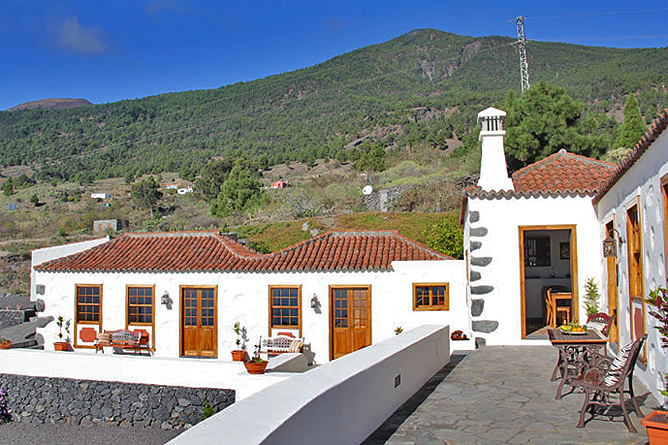 El Diamante offers a detached location with a spectacular panoramic view and is situated near the small village of Tigalate, close to Fuencaliente, in the south of La Palma. The surrounding area is sparsely populated, so that you enjoy peace and quiet there as well as fantastic views of the Atlantic Ocean and the lusty, harsh volcanic landscape. It is a place where the formation history of the island is unfolded in front of your eyes. There are also a variety of destinations for trips and hiking tours. Those who go for this region certainly won't be disappointed. El Diamante — the name says it all: a rough diamond turned into a sparkling gem. Originally on this property there were only the formation walls of the living room. With loving attention to the detail the owners created a dreamlike country-style Holiday Home, which was finished in 2013. 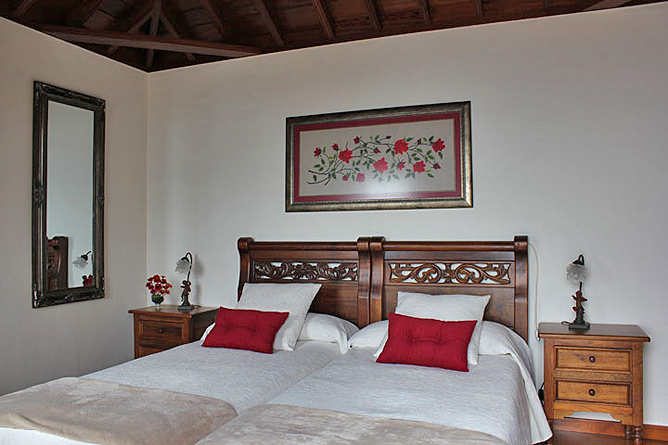 The Holiday House is a perfect choice for a relaxing holiday for only one or two befriended couples. 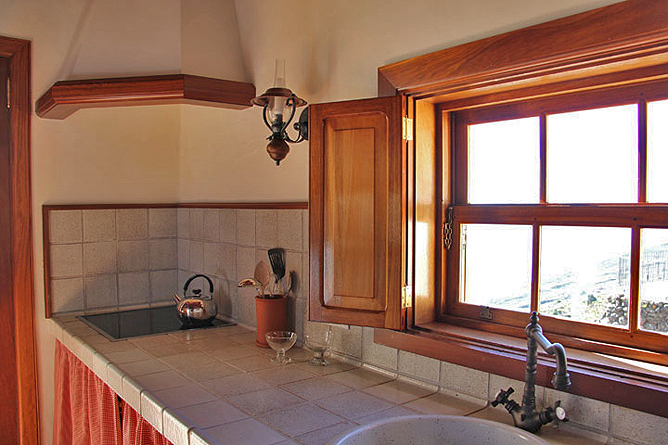 The rooms feature the Canary wood gabled ceilings as well as the typical window benches. The furnishing is very tasteful and sophisticated blending perfectly with the Canary stylish elements. Both wings of the 118 m² Holiday Home are laid out in a L-shape comprising two levels. There is a large south-east faced terrace front. 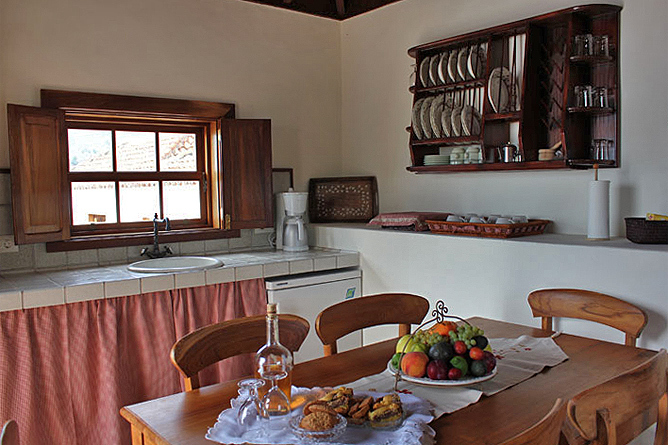 One wing features the kitchen and dining area as well as a bedroom with an ensuite bathroom. 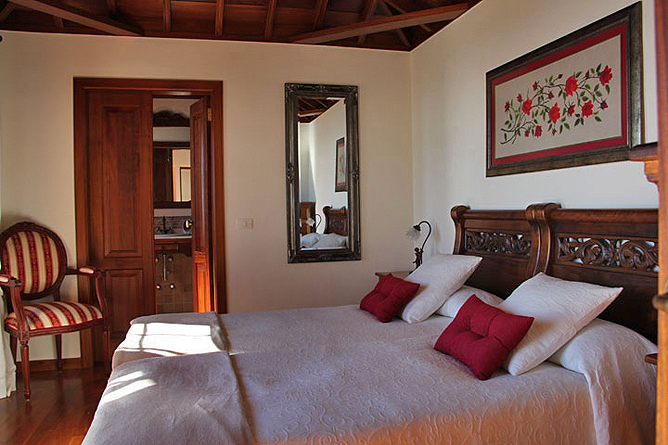 The living room and the other bedroom with an ensuite bathroom are located in the other wing of the Holiday House. 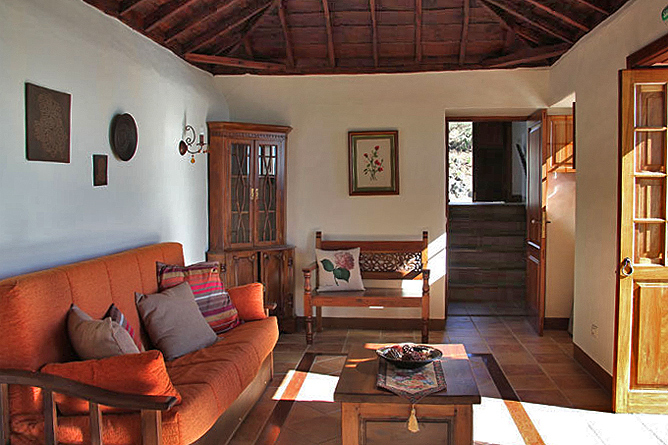 Between them there is a guest toilet, which is accessible from the kitchen, the living room and the terrace. The living room is spacious and light due to the glass doors providing access to the terrace. 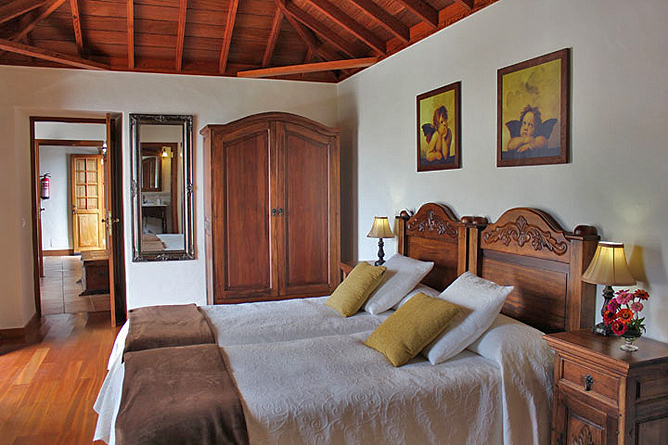 Make yourself comfortable on the large sofa and enjoy an unspoilt view of the nature and the sea. 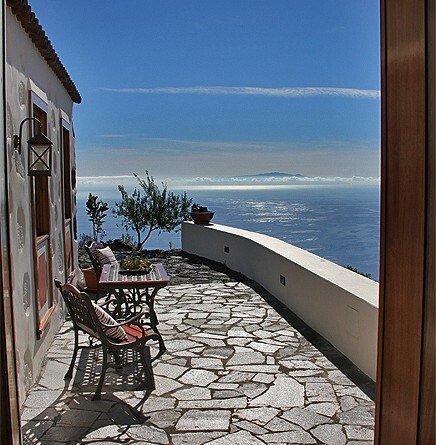 On a clear day you can actually see Tenerife. 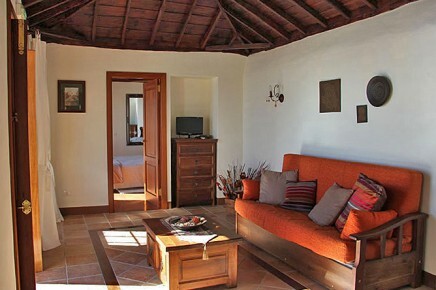 There is a satellite TV for evenings you prefer the cosy atmosphere inside the Holiday House to the terrace. One bedroom is directly attached to the living room and therefore located on the lower level of the Holiday House. 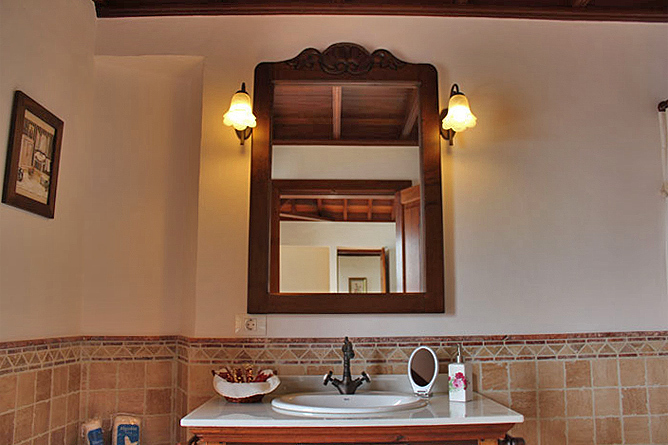 The bathroom is very tastefully equipped in the country-style and has a small bath tub with a shower facility, a wash basin and a toilet. There is also a storage area for your personal things. The bedroom next to the kitchen also provides an access to the terrace. The window recess features a beautiful seating bench, which is perfect to make yourself comfortable and enjoy a good book. 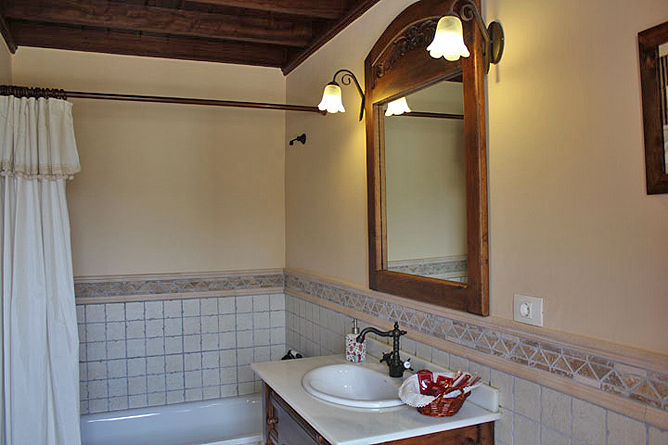 The en-suite bathroom is like the other bathroom furnished with a small bath tub and shower facility, a wash basin and a toilet. The separate kitchen is very well equipped and offers plenty of storage space and worktops. Below the masonry worktop there is a storage space for your provisions and the kitchen utensils. The kitchen also provides access to the terrace. You can enjoy your meals on the dining table in the kitchen (seats 6) and have breakfast in the morning sun on the terrace. 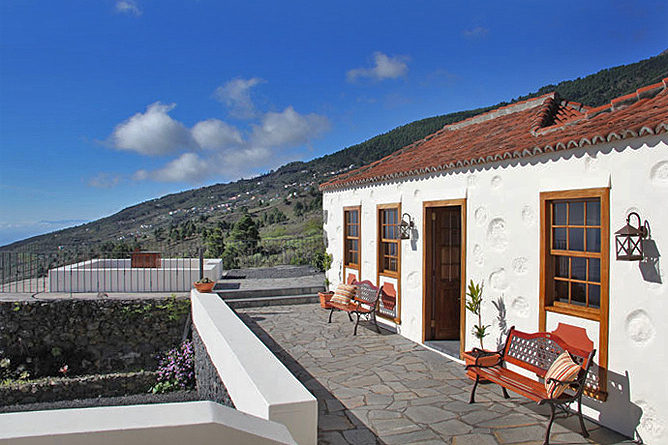 Between the two wings of the Holiday House there is a terrace which is accessible from almost every room with wooden benches and a table with chairs. 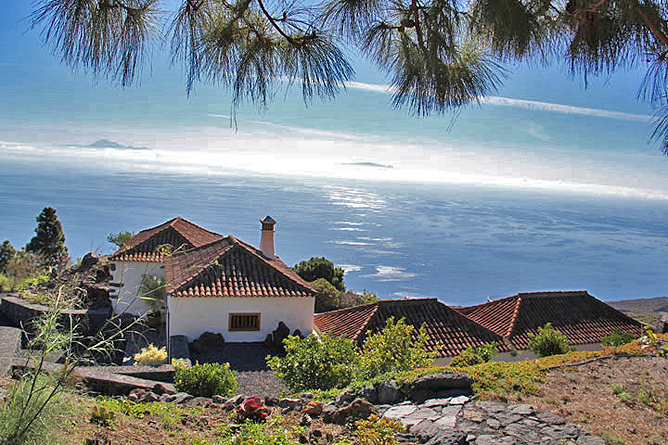 It is a nice place to enjoy a dreamlike view of the mountains and the volcanic landscape in the south, the unspoilt nature and the deep blue Atlantic Ocean as far as the horizon. 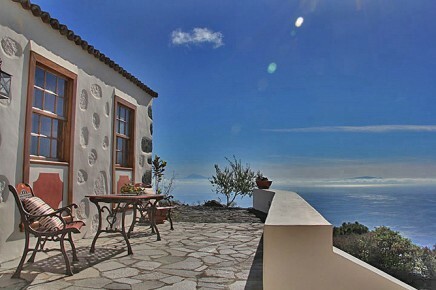 On clear days you can actually see the neighbouring islands Tenerife, La Gomera amd El Hierro. 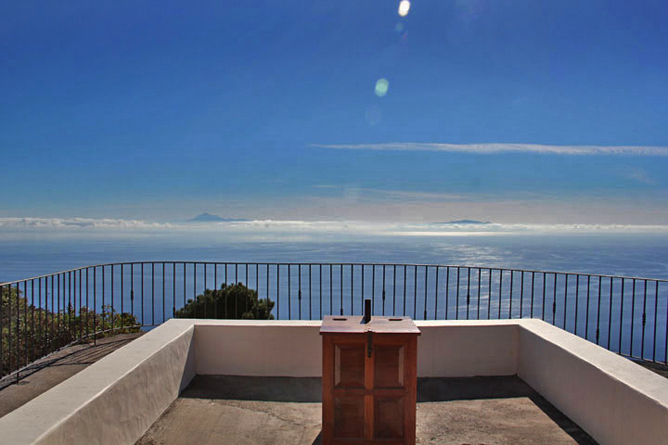 There is another beautiful view point on the Aljibe, a masonry water storage tank. In a separate small house there is a utility room with a washing machine. Next to it there is a terrace sheltered from the wind and not visible from outside - a perfect place for your sun loungers. Behind the house a nice green, terraced area with trees extends uphill. In the evening the outdoor area is illuminated with lanterns, giving the country house an almost stately appearance. The recently (in 1971) formed Volcano Teneguía and the Volcan Antonio are located about 25 driving minutes from El Diamante. Both volcanos are situated below Fuencaliente. 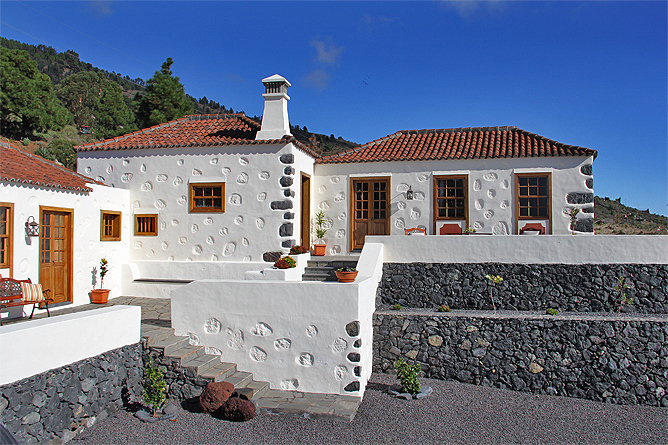 There is a visitor centre at the Volcano Antonio, where you get more information about its formation history. The walk to the crater rim along the viewing platform is worth a visit. On clear days you can see the neighbouring islands Tenerife, La Gomera and El Hierro. Near the volcanos you can taste and buy wine cultivated in this area. Another interesting trip destination is the light house and the Salinas in Faro on the southern end of the island. The precious Flor de Sal that is extracted there is a beautiful souvenir to take home with you. 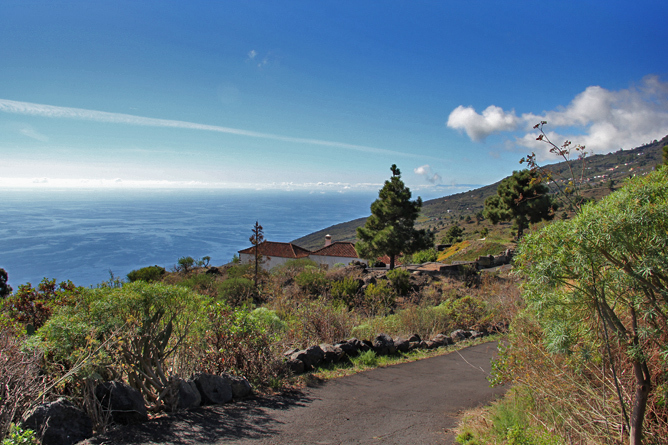 The upper part of the island shows quite a different face: extended pine forests invite for walking or hiking tours, for example hiking from Fuencaliente up to the Volcano San Marco. Many beautiful tours start nearby. 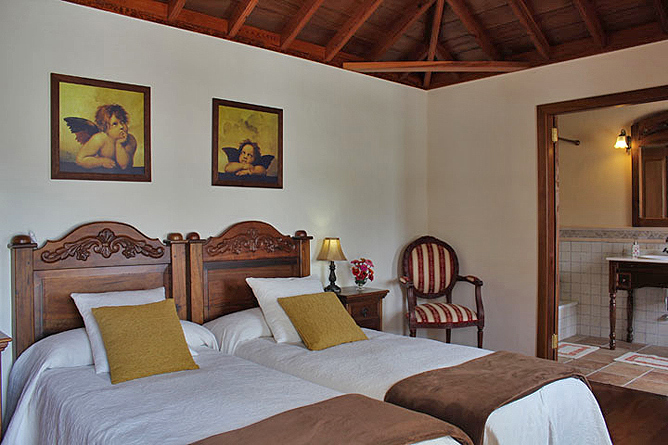 About 15-20 driving minutes from El Diamante you find the original fishing village Salemera. There is a small sandy beach, where you also find a simple restaurant serving fresh fish and seafood at reasonable prices. So far only a few vacationist have discoverd Salemera. On the coast below Fuencaliente (about 25 driving minutes) there is Playa Zamorra with a small kiosk that also offers delicious fish and a nice sandy beach. It is also a beautiful place for snorkelling, a water protection area has been established there. Other beaches in the surrounding area are Punta Larga, Playa de Echentive, Playa Nueva and Playa del Faro at the light house. The beaches are sandy, in places stony and they are noticeable less frequented than the large beaches in the west. 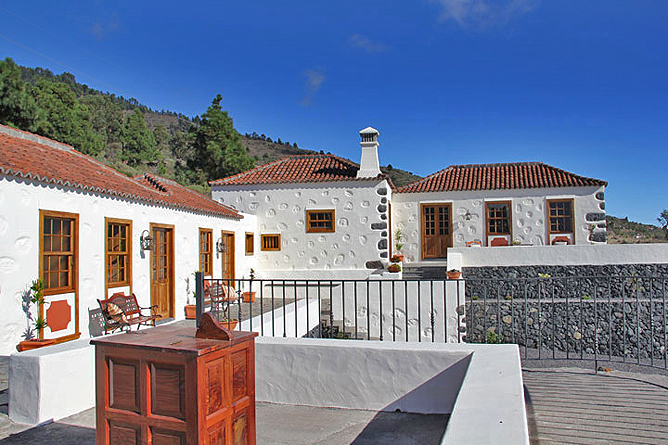 Only 6 to 8 kilometres from El Diamante you find the two excellent restaurants La Cabaña and La Era. 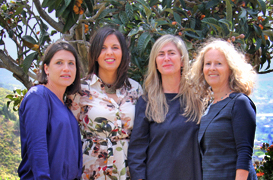 There are all kinds of shopping facilities, restaurants, bars, banks and a gas station in the nearby Fuencaliente / Los Canarios and Villa de Mazo, which is almost the same distance from the Holiday House. On weekends you find a nice food and craft market there. 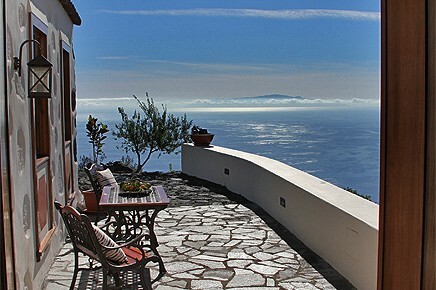 A real Holiday Gem in secluded location with Panoramic Views.